Ungainly but somehow still elegant, the barrel-chested moose with antlers three times as large as its head sauntered out of the woods and toward an Eldora garden where a wedding was scheduled in a few weeks’ time. The frantic father of the bride ran out of the house, waving wildly and yelling. Undeterred, the massive moose turned a baleful eye on the man and took a few more steps toward the wedding-perfect flowers. Afraid to get too close, the homeowner gave up with a disgusted sigh. Fortunately, this time the moose decided to move on without leveling the gardens. 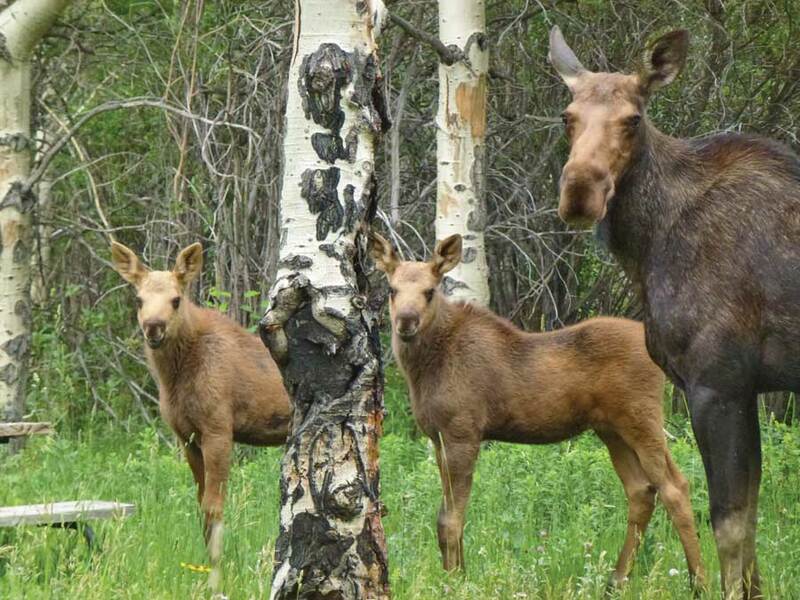 Moose were rarely seen in Colorado until they were “reintroduced” in 1978 and 1979, but the program to bring them to the state is “a real success story,” according to Jennifer Churchill of Colorado Parks and Wildlife. Read the story in Boulder Magazine.